CHT-ATLAS is a high-temperature, high reliability power transistor driver integrated circuit specifically designed to drive widebandgap power transistors, in particular Gallium Nitride (GaN) and Silicon Carbide (SiC) devices including normally-On and normally-Off JFETs, MOSFETs and BJTs. It is also used with standard silicon MOSFETs and IGBTs in standard temperature applications (e.g. 125°C) where it brings an increase in reliability and lifetime by an order of magnitude compared to traditional solutions. The circuit features 2 independent push-pull channels capable of sourcing/sinking 2A each. When configured together to drive a single power switch, the combination of the 2 distinct channels allows driving of specific devices that require for instance a dynamic pulse of current in combination with a continuous current in order to be properly turned-on. The circuit includes a soft-shut-down capability that slowly shuts down the power transistor in case of fault. 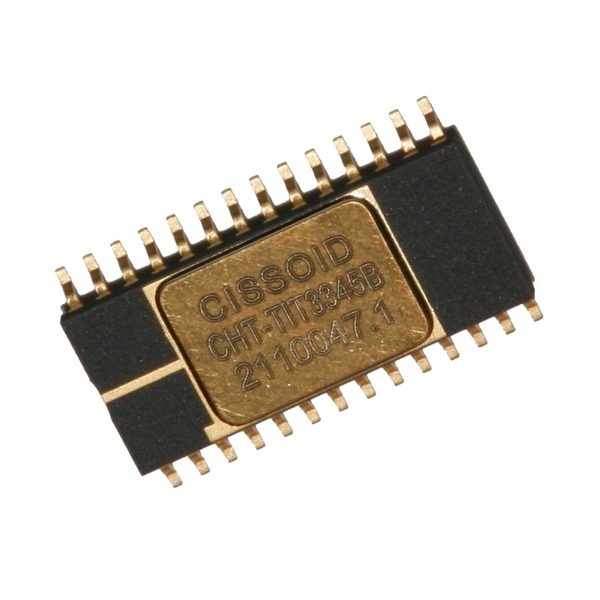 An evaluation kit EVK-THEMIS-ATLAS implementing a high-temperature power transistor driver and controller based on CHT-THEMIS and CHT-ATLAS is available at Cissoid.